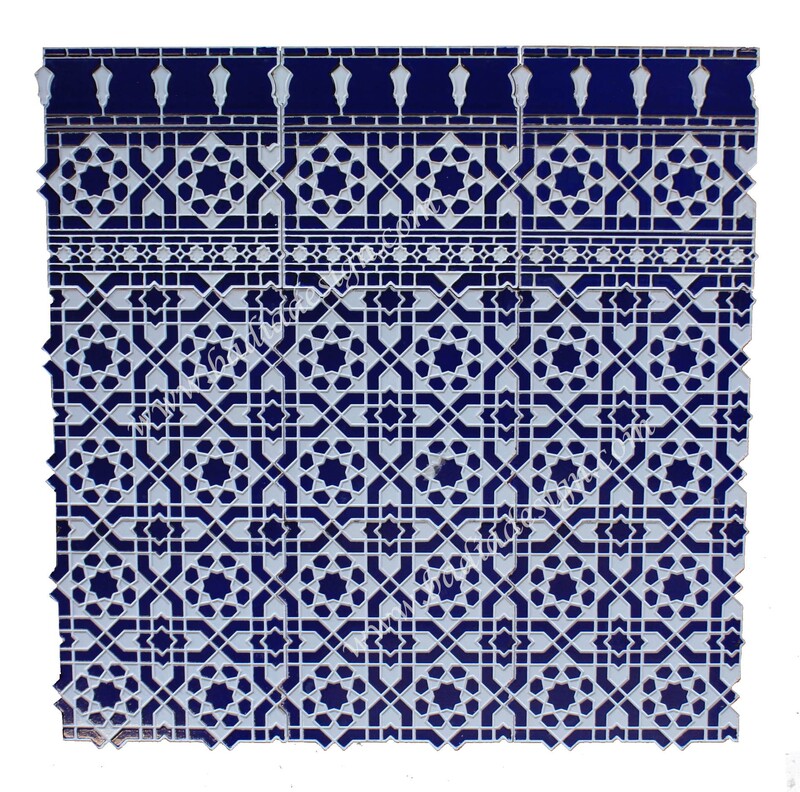 Moroccan Ceramic Wall Fez Tile from Badia Design Inc.
Our Moroccan Ceramic Wall Fez Tiles can be used as a wall backsplash, shower tile and on just about any wall surface in your home. If you would like to order tiles or need assistance with your tile project, please fill out our How to Order Tiles form. Click the button below to add the Moroccan Fez Tile - FT016 to your wish list.